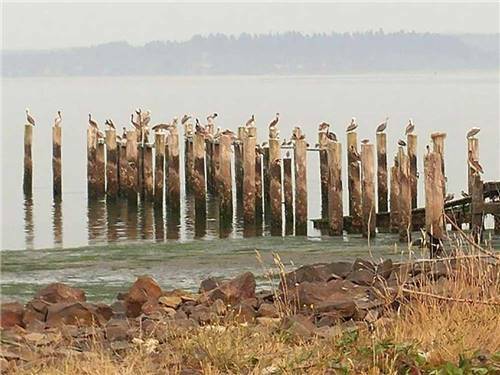 We found 21 Results for "Hoquiam, WA"
Art Prowl, Fish, Clam, Bird Watch, Hunt, Relax, explore historic Tokeland! 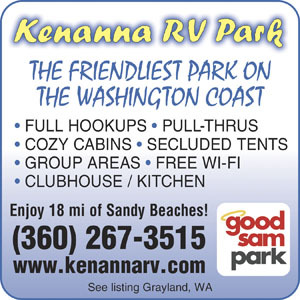 We have 85 large pull through, full hook ups, tent sites, cabins, 2 club houses and the beach is just around the corner! 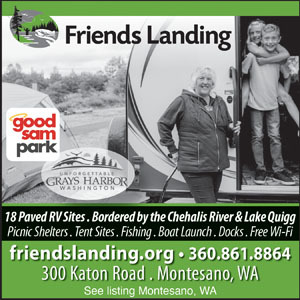 On-site owners welcome you! 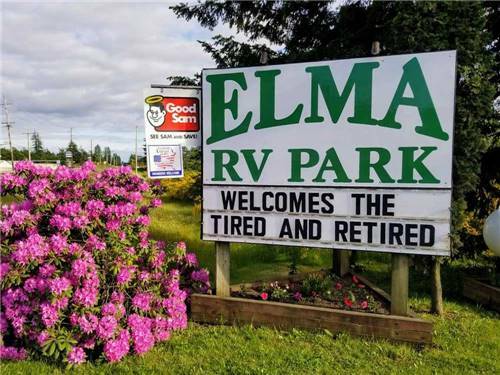 Small town hospitality abounds at Elma, fresh cookies, coffee or tea, beautiful landscaping, easy access to Hwy 12. Big rig sites. 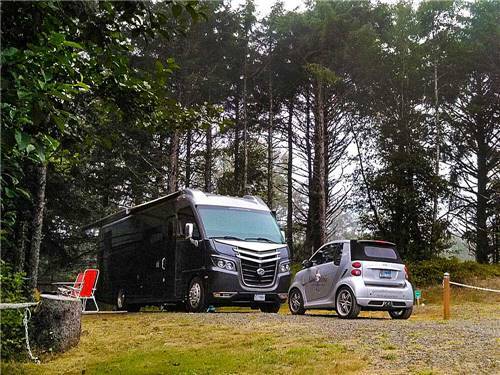 Lovely club house for groups. 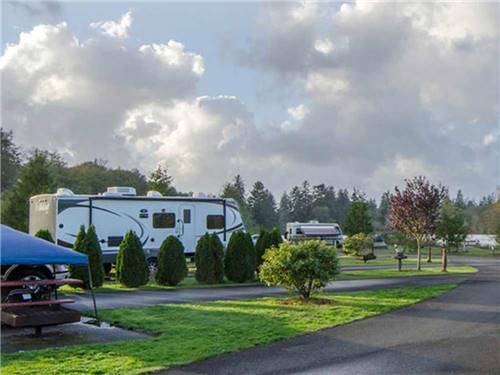 Nearby hiking, biking, shopping, fishing, kayaking & disc golf. 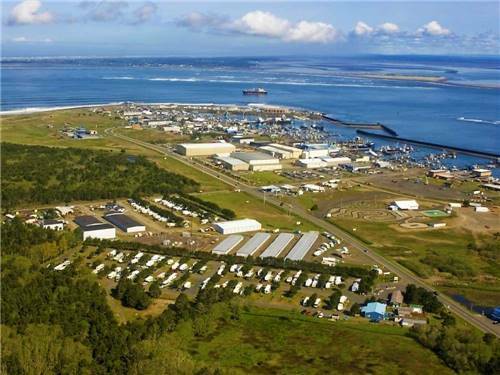 Welcome to Grays Harbor! 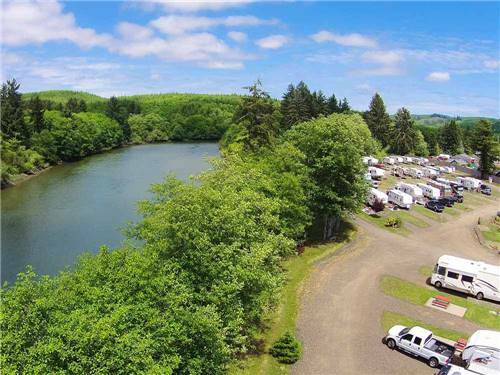 Located just outside Montesano, WA, Friends Landing offers 152 acres of recreation opportunities on the Chehalis River including hiking, fishing, camping and bird watching.